One of the stars of the last Winnipeg Blue Bombers team to win the Grey Cup hopes this will be the year the franchise breaks its 28-year championship drought. 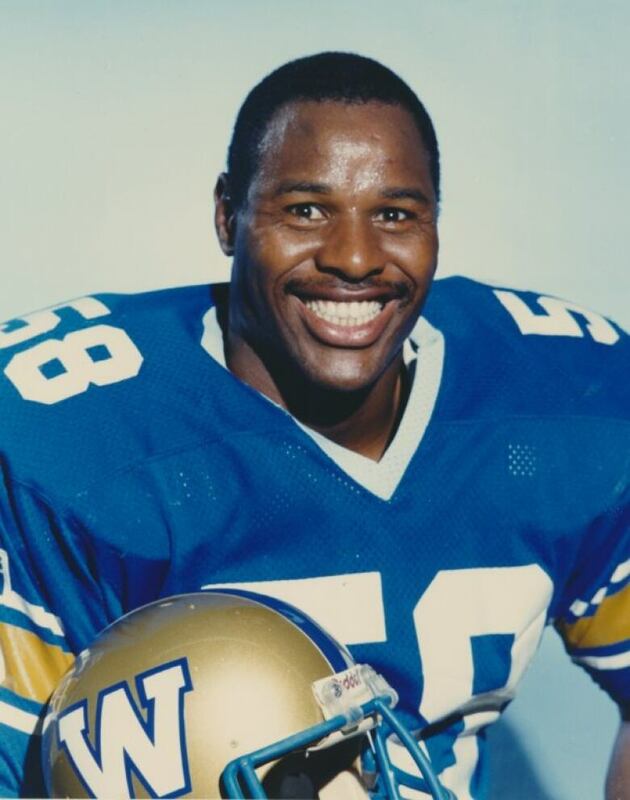 James (Wild) West wore number 58 for the Bombers between 1985 and 1992. The all-star linebacker won two Grey Cup championships with the team and still keeps in contact with his former teammates. 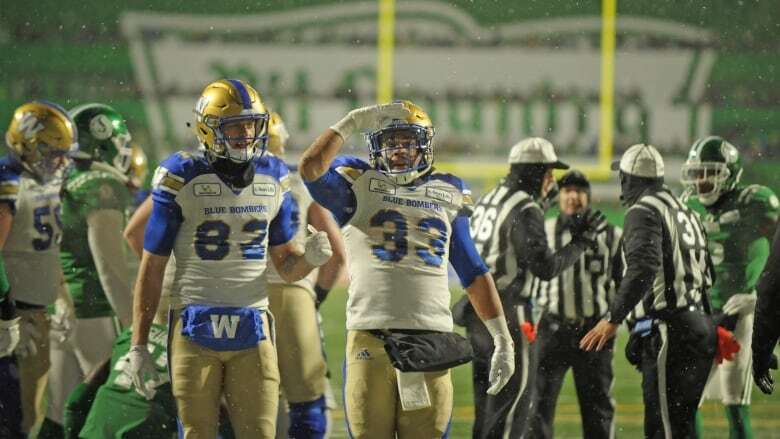 "I'm bleeding Blue Bomber blue, baby," said West on Saturday. "I'm Blue Bombers all the way … I love everything about the Blue Bombers." The Bombers beat the Saskatchewan Roughriders 23-18 last Sunday at Mosaic Stadium in Regina in the West Division semifinal. The team is now just one win away from the 106th Grey Cup game on Nov. 25, in Edmonton. Standing in the Bombers' way are the Calgary Stampeders, their opponent in the West Division final in Calgary on Sunday. The game kicks off at 3:30 p.m. CST. Calgary finished the regular season with the best record in the league, at 13-5, while the Bombers posted a 10-8 mark. While the Stampeders might be hard to beat on Sunday, West said Winnipeg will be carrying a lot of momentum from last Sunday's big win in Regina. "I think they've got a great chance, but you just never know during these playoff games," said West, who was inducted into the Canadian Football hall of fame in 2016. "Anything can happen." 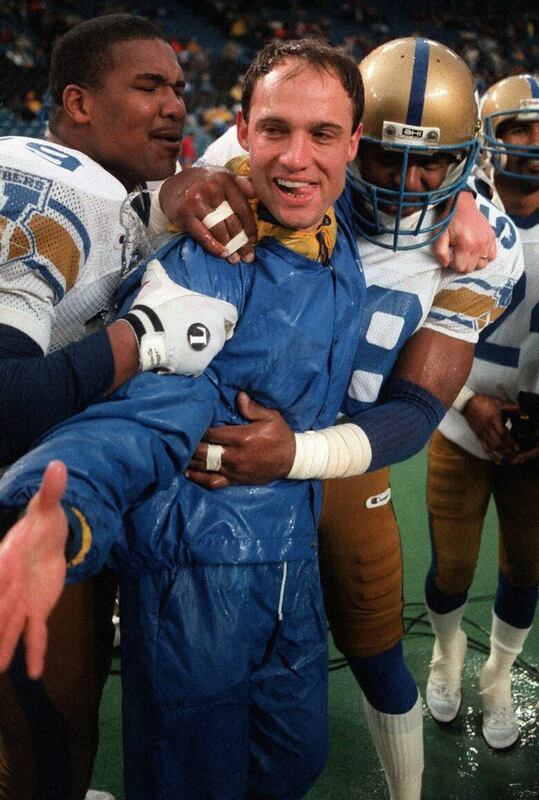 The last time the Bombers raised the Grey Cup was in 1990, in a resounding 50-11 thumping of the Edmonton Eskimos. West said togetherness was one of the secrets to that team's success. "We loved being around each other. That's how we were so successful." Another key ingredient, said West, was the combination of talent and confidence the 1990 Blue Bombers possessed. "You just got to believe that you have won the game before it even starts," he said. "We had that mentality. Soon as we got off the bus, we thought we had a six-point advantage anyway because we had you know Chris Walby on our team." Whatever happens on Sunday, West is already planning his trip to Edmonton for Grey Cup, where he hopes to be cheering on the Bombers. The Bombers split the season series with the Stamps, losing 39-26 on the road in Calgary in Week 11 and winning 29-21 at home in Week 20, to clinch a playoff spot. The two teams last played each other during the playoffs in the 2001 Grey Cup game in Montreal, where the Stampeders beat the Bombers 27-19.